In the last couple of years, the state of New York has done a complete turnaround with their stance on marijuana. From being one of the states with the most restrictive access to medical marijuana, to one of a handful where even lawmakers are talking legalization over prohibition. Governor Cuomo has certainly changed his tune, and now the New York Democratic Party and the Department of Health both back legalizing cannabis as well. The latest step the state is taking towards this big change was announced by four New York Assembly committee chairs. They are planning a series of four hearings to be held this fall to discuss various aspects of legalizing cannabis. This includes economic regulations, revised criminal justice policy, public health concerns and diversity within the industry itself. “These hearings will give New Yorkers an opportunity to provide input and allow the committee chairs to learn from several other states that already allow adult use,” the committee chairs wrote in a press release. The state has significantly opened access to their medical marijuana program – even recently adding chronic pain to the list of conditions that qualify. They have already moved to decriminalization – with possession of 25 grams or less of marijuana punishable by a fine. However, this has not done enough, and even lawmakers have realized that the sensible path is legalization and regulation. This move is definitely supported by the residents of New York, with a recent poll commissioned by the Marijuana Policy Project Foundation and the Drug Policy Alliance finding that 60 percent were in favor of legalizing and regulating marijuana as a way to improve the budget. The other options, none of which garnered more than 27 percent, were increasing income taxes, tolls or even cutting funding to schools and public services. So far, no specific dates have been set for the hearings, but it was said in the press release that they would be happening this fall. 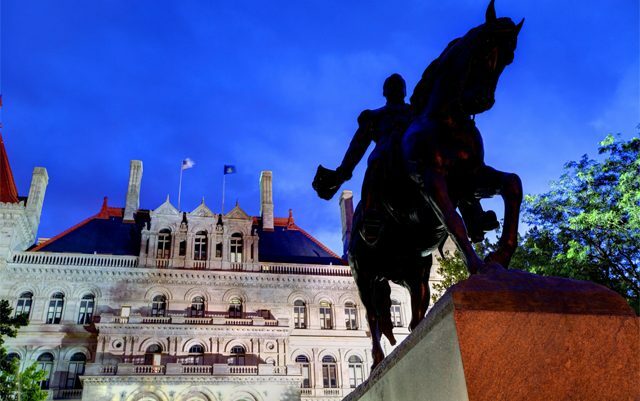 This means that lawmakers are likely looking at passing legislation sooner rather than later – and New York could soon be joining Vermont as one of the first states to legalize adult use of cannabis through legislature, despite federal prohibition.